There are so many important factors when it comes to making amigurumi dolls and toys that it can be hard to keep track of it all. But don’t fret, because I’ve got you covered! Last month, I published first part of the Amigurumi Basics series: a series of three blog posts designed to help shed some light on the often daunting practice of making amigurumi. In Part 1, we talked about lots of important things, like how difficult amigurumi making actually is and what kinds of techniques/stitches are used, for example. And don’t get me wrong–those are very important factors in ami making! But equally as important (if not more important), are the tools and materials you use. Today in Part 2 of the Amigurumi Basics series, I’ll be discussing the different tools and materials that are necessary for making amis, and I’ll even provide you with recommendations on the items I love using most! Want to expand your amigurumi horizions? Enroll now in the Amigurumi Crash Course and get LIFETIME ACCESS to patterns, step-by-step video tutorials, and even more ami-mazing tips! Ready? Grab a snack and let’s get started! I should probably start by saying that you don’t need all of these things in order to make amigurumi dolls and toys, but that these are the items I’ve found most essential and useful in my ami making practice. For starters, you’ll of course need a crochet hook and some yarn. You’ll also need some stuffing, as well as a needle to sew things together and weave in yarn tails. Scissors are also a must! But other than that, you can get by with just those basics. The size hook you’ll need depends on a variety of factors: what does your pattern call for? What weight of yarn are you using? Do you need to size up or down for personal tension that differs from the pattern designer? My recommendation is that you go with a hook size that is at least two sizes smaller than what the label on your yarn recommends. After all, you don’t want your stuffing to show through your stitches, so using a smaller hook will make for smaller stitches–and thus smaller holes. I also highly recommend that you use an ergonomic hook. For some amigurumi patterns, you’ll be working in some pretty tight spaces. This means that you’ll be working your hook harder than usual, which of course means that your hands and wrists will be working harder, too. Here’s my favorite hooks: the Clover Amour ergonomic crochet hooks. My love for these hooks is never ending–they’re definitely my go-to hook option. They’re sturdy, inexpensive, come in pretty much every size you could ever need, and are beautifully ergonomic. I made the permanent switch from your basic aluminum hooks about three years ago, and I refuse to go back! Other ergonomic hooks would work well, too. If you have a favorite brand other than the Clover Amour hooks, feel free to use them! Just make sure you trust the ergonomic quality of the hook–you don’t want to do damage to your hands or wrists by using a poor hook in these tight spaces! There are varying opinions as to which kinds of yarn work best for amigurumi. My advice would be to just play around with the different types of fibers and see what you like best! Acrylic yarns are easy to care for, making them great choices for amigurumi. It’s easier to keep your acrylic amis clean (just spot clean and air dry! ), and thus so easy to care for! Many acrylic yarns are also quite affordable. I’ll talk more about my favorites in a minute, but the price point is a major factor for me (and probably for some of you as well!). Here’s the best part: acrylic yarns tend to come in an abudance of colors. For example, Stylecraft Special Aran yarn comes in 36 different colors, and the Stylecraft Special DK yarn comes in 89! For amigurumi purposes, I recommend that you stick with an aran-/worsted-/medium- weight yarn. No skeins are exactly alike of course, so some worsted-weight yarn might be thicker or thinner than another worsted-weight yarn. Therefore, I also recommend that you stick with the same brand/line of yarn for your project. However, you can mix yarn brands if a brand other than the one you’re using has a color you just have to use. If you do mix brands, I suggest staying in the same fiber content and yarn weight category. Here’s my favorite yarn for amigurumi: Lion Brand Vanna’s Choice yarn. Personally, I think the best part–the most defining part–of any amigurumi are the fine details that are added at the end of the making process. For my dolls, those fine details usually involve using crochet thread or embroidery floss to make little details such as eyelashes, glasses, and even special stitching to add flair to outfits! You can even use a thinner yarn to add details like this to your doll if you like, but I love using embroidery floss and crochet thread because they are both inexpensive and easy to find at your local craft shop. Here’s my favorite floss and thread options for amigurumi: DMC embroidery floss and Aunt Lydia’s Classic 10 crochet thread. Pictured above is some black #10 crochet thread and some DMC floss in grey. For my dolls, I use the thread for eyelashes and outfit decorations, and that floss is perfect for outlining glasses on a doll’s face. Plus, one spool of black crochet thread will last you a very long time. I’ve been working from this same spool for the last three years, and I’m nowhere near the end! In this photo, you can see that I used both black and white crochet thread–as well as some blue floss!–to make the details on my mini Moana doll. See how the details make her shine? It’s the small touches like these that can really make an amigurumi doll stand out. I particularly love using embroidery floss for those smaller details because it’s quite cheap, and it comes in so many colors. You can use it for freckles, mouths, eyelashes, and so many different outfit embellishments! This part is important. You have to have some kind of stuffing for your amigurumi dolls and critters. Without it, your dolls would be flat and floppy! Each option listed above has its own set of pros and cons. I’ve arranged them from my top choice to my least favorite choice for the reasons outline in the pros/cons lists below. Here’s my favorite stuffing option: polyester fiber fill. Despite its cons, I really prefer using the polyester fiber fill stuffing option over the others. I have been tempted to use the poly pellets in the past, but I since I intend to give my dolls to my future children, I have decided not to use them. The fiber fill stuffing is so easy to use. My biggest complaints are that it is hard to store the large bag (I make so many dolls, I have to get the large sized bag!) and that sometimes tiny pieces of the fiber fill comes loose from the clump I’m holding and occasionally gets in my eyes. That’s really more of a personal issue (I’ve got to be more careful when pulling the stuffing apart), but the pros far outweigh the cons for this one. I think that safety eyes (and safety noses!) are the perfect addition to any amigurumi doll or stuffed animal. You can always embroider or sew on eyes–or even use felt and glue them on–but I just love the finished look of a plastic eye on my dolls. Safety eyes, and indeed the noses too, come in a variety of sizes and colors. In this photo, I have set out two different sizes of safety eyes: 6mm eyes in black and 10mm eyes in black/blue. Each size of safety eye comes with its own size washer to go on the back; the smaller the eye, the smaller the washer. I haven’t made many animal critters, so I don’t have as much experience with the safety noses, but I know that they too come in different sizes and colors. They add just the right amount of finishing to your amigurumi critters! Of course, there are some downsides to using plastic safety eyes. For starters, they are not permanent, and they can therefore come off of your amis. This means that they could pose a choking hazard to small children and pets, so use with caution. That being said, I have never had my 6mm safety eyes come off of my dolls, and I am comfortable gifting those dolls to my niece. Just be sure to watch your kiddos! The 10mm eyes photographed here, however, don’t fit as tightly onto their washers as the 6mm eyes, so I worry that they might come off more easily than their smaller counterparts. Another downside to plastic safety eyes is storage! If you’re like me, you’ll probably accumulate a variety of different sized and colored eyes, each coming with their own sets of washers. To keep them organized, I recommend getting yourself a bead/jewelry plastic organizer case! They do make some sew-on safety eyes, which have a loop on the back for them to be sewn onto the doll, rather than the post/washer setup. Here’s my favorite safety eyes for amigurumi:these Darice 6mm black safety eyes from Amazon. I’m all about instant gratification, and Amazon Prime is almost as good. So when I found out that I can order a set of safety eyes and get them to my house pronto, I was so excited! I have ordered these particular safety eyes three times now. They come in a 100 pack (50 eyes, 50 washers), they ship fast and they are of a fantastic quality! I also really love that when they send them, they keep the washers and eyes separate in the package so that there’s no mixing, which makes it easier for you to sort them out. If you’re in need of some black 6mm safety eyes, I recommend you check these out! Now, you have to have good needles for your amigurumi making. For starters, you’ll need a good steady needle for sewing in your yarn tails that are made when you do color changes or when you make separate pieces that need to be sewn to your doll (such as arms, ears, hair, etc.). For this, a blunt-tip needle with a large eye is a great option because you’ll be able to easily thread the needle with your yarn and you won’t accidentally stick yourself with a pointy needle tip. If you’re sewing finer details onto your doll (such as eyelashes, mouths, etc. ), a smaller needle might work better. Try using a sharp-tip sewing needle with a medium-sized eye; the sharper tip will help you work your thread or yarn through the fabric of your ami, letting you put your stitching exactly where you want it. I don’t really have a favorite brand or option for needles, but I do recommend using two: the blunt-tip larger needle for sewing in ends and the sharp-tip smaller needle for sewing details. I also highly recommend that you use a bent-tip needle whenever possible because it also helps you place your stitching exactly where you want! Scissors are a very important tool for amigurumi making for this simple reason: you need to cut your yarn! Some crafters might be more comfortable using larger scissors, others might find smaller scissors to be more helpful. Personally, I like to use smaller scissors with long, thin blades–this helps me to be sure I’m snipping exactly what I mean to snip and not something else by accident! The most important thing when choosing your scissors is that they have sharp blades; dull scissors will have a harder time cutting your yarn, making more frustration for you! Choose scissors with good, sharp steel blades. A sharp blade can make all the difference between a clean cut and a frayed cut. Again, I don’t have a favorite option for scissors, but the ones pictured here are from Warm Crochet. You can get your very own pair here. Oh, stitch markers. Not necessary for ami making, but so very useful! I was a stitch marker denier for many years, mostly because I just hated moving that darn thing…Every. Single. Round. Now, however, I understand there merits! Most amigurumi patterns call for you to work in what is often called a continuous spiral, meaning that you do not join each round together. Instead, you work in a continuous spiral all the way up through the pattern without joining your rounds together. This makes for a seamless, beautiful doll. When working in a continuous spiral, it’s very important to use a stitch marker! The marker shows the first stitch of the round so that you know where your current round ends and where the next round should start. Always remember to move your stitch marker up every round so you don’t lose your place! Think of your stitch marker as your lifeline: it always helps you find your way! From a designer standpoint, stitch markers are also lifesavers! You can use them to indicate where you were last happy with your design. Make a mistake? Used a stitch you don’t like? Simply frog your work back to the last stitch marker–the last place you were happy with your design–and start again. Lifeline to the rescue! There are also lots of different types of stitch markers! For crochet purposes, the most common ones are locking stitch markers like the one in my photo. These clip and un-clip, letting you easily move your marker around as needed. They can come in plastic or metal, and some handmade markers available on sites like Etsy even come with a hook size on them so that you can place the marker on a work-in-progress and not have to leave the hook with the project–that means you’ll know exactly what size hook you were using when you come back to it! These stitch markers are my favorite for a few reasons: they’re inexpensive, they’re available here on Amazon with Prime (hooray for almost instant gratification! ), they come in a variety of colors, and they come with their own storage box! Now I don’t feel bad if I lose a stitch marker or two which, to be honest, is inevitable. You can also find hundreds of nerd-themed stitch markers on Etsy. I myself have some lovely Doctor Who stitch markers from Etsy, which I don’t use very often anymore because 1) I’ve lost most of them and 2) I don’t want to lose the rest. What do you think are the best tools for amigurumi making? What would you like to learn about making amigurumi dolls? Leave a comment and let’s talk ami! Ready for part 3? Click here to continue on your ami-making journey. Interested in learning more about amigurumi-making? Good news: I’m teaching a course that starts NOW, and you can enroll today! The Amigurumi Crash Course will show you step-by-step how to make these mini amigurumi dolls. The course includes hours of detailed video tutorials and a bunch of free patterns, which you can use to mix-and-match and make your own custom dolls! Click here to enroll in the Amigurumi Crash Course! 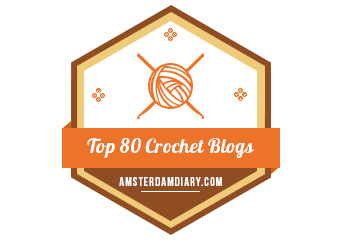 Next postCelebrating National Crochet Month…with a Giveaway! Your advice for making ami’s is wonderful! I love working with the tiny details of amigurumis – it’s so satisfying to create that tiny doll or animal with such small tools. The yarn that I normally use is Red Heart Super-Saver – it comes in large roles for a great price, and it’s pretty soft, too. If I can find it, I’ll use Caron Simply Soft yarn as well – that makes for a nice, soft doll, I’ve found. As far as crochet hooks, I’d say that size E is what I use. I did try a larger size, but the stuffing showed – E is the next size down for me. What weight of yarn do you use? I’ve tried working with size 10 crochet thread, but it’s too slick for me – I can never get it to stay on the hook. Sorry that was so long! Thanks for writing such an excellent post! Hi Lizzie! I’m glad you enjoyed the post! I usually use a D 3.25mm hook and some worsted weight yarn—Lion Brand Vanna’s Choice is my go-to yarn for amis! Love your post – I have been making amigurumis for about 2 or 3 years now and am absolutely hooked. I am more into animals and despite giving them away as much as I can I have to have a decent clear-out every few months :-). Anyway, I wanted to add my favourite stuffing tool to your list: the small wooden cocktail forks are absolutely magic for getting the polyfill into these little nooks and crannies, and you can use both ends depending on the shape/opening you are working with. Keep up the good work! Gourd/Pear shaped safety pins (silver/gold/nickel & not the painted ones) make excellent stitch markers for ami, they are thin enough to not leave/create a hole in your work, especially when doing tight stitchwork. Bobby pins are always excellent for looser construction pieces, they are easy on/off but stay secure. The plastic locking type always break on me, which I find very frustrating.